Turkey has abolished extra fees that were charged in treatment, surgery and medication of cancer in the state healthcare system, Labor and Social Security Minister Jülide Sarıeroğlu has said. “We have abolished all extra fees that were charged in treatment, surgery and medication of cancer,” Sarıeroğlu said in a written statement on July 5. She added that government had been paying around 240 million liras every year to healthcare providers for cancer treatment. “As we are now abolishing the extra fees charged from the patient, this annual spending will rise to 750 million liras. A cancer patient will not pay any extra fee as the state will cover it all,” Sarıeroğlu said. The new regulation has come into force as it has already been published in the Official Gazette. Sarıeroğlu also vowed to improve the financial situation of public healthcare providers, including state universities. The annual cost of cancer treatment in Turkey, currently estimated at $3 billion per year, is expected to at least triple by 2030, according to Esra Kaytan Sağlam, the head of the Turkish Society for Radiation Oncology. Cancer is currently estimated to accounts for around 20 percent of overall mortality in the country. 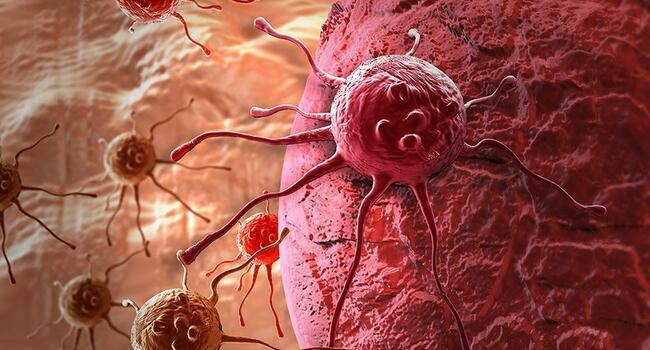 Lung, prostate, colorectal, urinary bladder and stomach cancer are the most common types of cancer in males in Turkey, while the most common types among woman are breast, thyroid, cervical and lung cancer, Sağlam said in an interview in February 2018. Turkey ranks sixth in Europe in terms of funds allocated for cancer treatment, following the U.K., Italy, Germany, France and Spain. However, only 3 percent of overall health spending was earmarked for cancer treatment in Turkey last year, versus 6.6 percent in France, 6.4 percent in Italy, and 5.4 percent in the U.K.